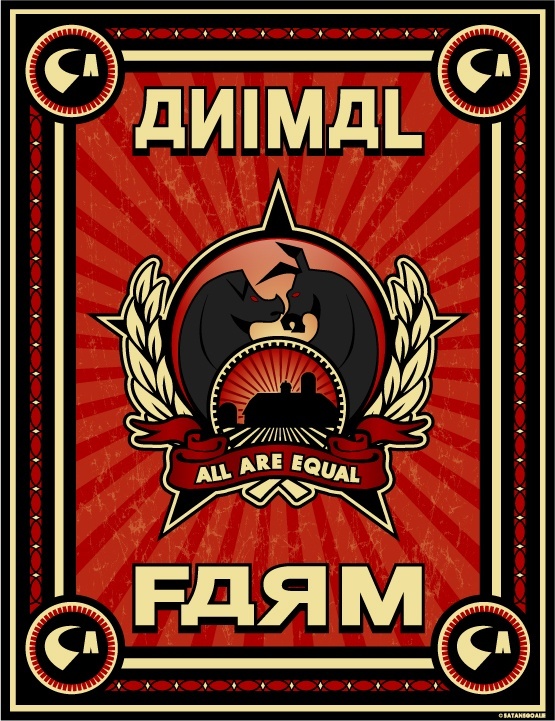 Orwell describes a farm from the barn animal’s perspective and each animal has a certain human stereotype or quality and often is tied to an important Russian figure (Lenin, Stalin, etc.). The animals on the farm form a social structure in which each is supposed to be equal and work for the the sake of the farm and their own survival but the pigs, being the smartest, eventually rise to power. The book ends with the pigs and humans playing cards and they accuse each other of cheating. They get into a fight while the rest of the animals are outside watching, and it ends with someone saying that it was impossible to tell the difference between the two. The book is meant to be a satire of how life was in Russia in the early 20th century. This entry was posted in Books and tagged Classic, Fiction, George Orwell on March 1, 2015 by Blas.